Why do all the new incarnations of classic literature characters have to be so dark and gloomy? 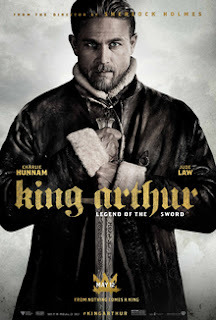 I’ve seen modern day reboots of such classic characters like Sherlock Holmes, Robin Hood, and now King Arthur. In terms of movies (the TV incarnations fare a little better) they have all been grimly shot, joyless in execution, and so darn serious I was having a tough time remembering why I had fun with these characters in the first place. Yes, I said fun. This seems like a strange comment to make since watching “King Arthur: Legend of the Sword” evokes no fun whatsoever. How is that even possible when you have a movie with magic swords, wizards, and empires that need to be taken down by a resistance? Maybe the fact that Guy Ritchie is directing the project will be a big clue as to what went wrong. After all, this is a director who prefers to make movies with style over substance. Truthfully, I didn’t know he was directing the project when I went into it, but within five minutes I had a huge suspicion he was the one behind the camera. His direction and editing is unique, yes, but it is also distracting to the story at hand. He continues to make movies with lots of whiz and bang, sharp cuts between characters who fight while the image slows down for a few seconds when he wants to emphasize a deadly blow was just delivered. It’s more exhausting than it is fun. What’s more, I’ve seen this too many times to care. He applied this same level of hyper-editing to “Sherlock Holmes” (which most people saw) and “The Man from U..N.C.L.E.” (which most people did not). Neither of these movies benefited greatly from Richie’s directing, and were largely saved by eccentric performances from Robert Downey, Jr. and Henry Cavill. This time Ritchie is saddled with Charlie Hunnam as the title character. 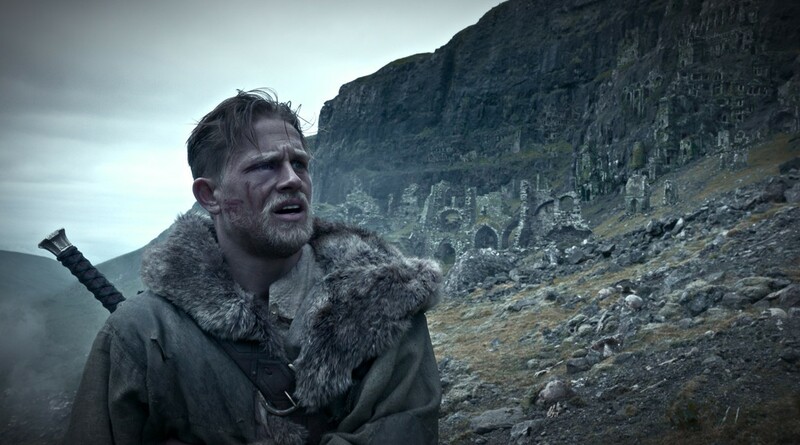 Hunnam is a decent actor from what little I’ve seen him in, but he is not yet a star, and his take on Arthur isn’t something that’s going to make him one. He looks tough, yes, but so do so many other actors in Hollywood. Besides, the whole point behind the King Arthur legend wasn’t that he was tough. Arthur was a meek, skinny stable boy who could pull the sword out of the stone because the sword sensed he was wise and gentle. He would be a man for the people and, despite a moment or two of weakness, was ultimately a man of integrity. His whole reasoning for being the true king in “King Arthur: Legend of the Sword” is because he comes from a long blood line. Parents, the violence is dark and relentless. There is also some implied sexuality and the single use of the f-word. Recommended for ages 14 and up.